ZF Services is going to introduce an even more modular transmission oil kit in the Indian market. Until recently, ZF Services used to offer a kit which contained the required spare parts as well as seven litres of ZF transmission oil. Now, ZF is offering the same kit with premium grade oil, either with or without the oil. According to ZF Services, the kit is applicable to over 600 passenger vehicles which are equipped with either a 5 or 6-speed ZF automatic transmission. 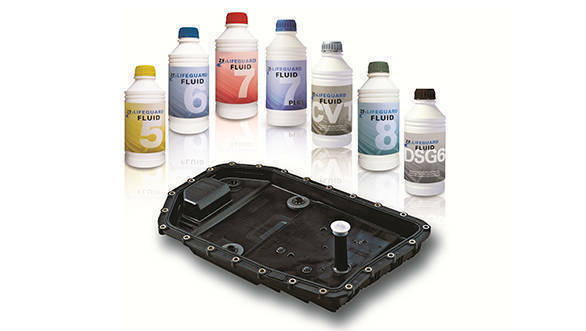 Workshops have the option to choose whether they want the oil change kit with or without seven liters of transmission oil called ZF LifeguardFluid. The transmission oil can also be purchased separately as a one litre bottle. The transmission oil change kit offered by ZF makes for easy transmission maintenance, as the kit includes all the required spare parts for a standard oil change, starting from filters, seals, screws, and even magnets and an oil pan. The transmission oil is now an option. Periodic oil changes help reduce gear wear and help maintain the efficiency of the transmission. "We witnessed a great response in the Indian market for the ZF Services transmission oil for passenger cars. This has further encouraged us to expand our product base in India by introducing new variants that are customized for the diverse range of automatic transmission available here" said Vijay Khorgade, head, ZF Services India.